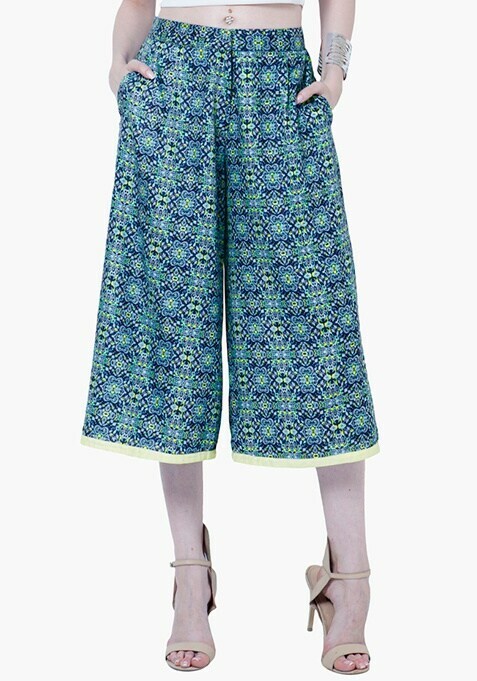 Rock your girly day out look in this pretty pair of culottes. It features two front pockets, lemon hem border, zip fly and hook-and-bar closure. Work It - Looks fantastic with a tank top, printed scarf and silver-tone accessories.